To Everyone Who Realises They Want to Join! It has begun! Messages and emails from parents, having seen Aladdin, asking about how their kids can join! In June, our current students will have a chance to re-register for the coming season. They have the first opportunity to do so. Later in the summer, we’ll open it up to the general public with what openings we have left. Our “How To Join” page has a lot of information, and a built-in document with even more – to help people understand the level of commitment required to participate. It’s huge – but it’s worth it! We are experimenting this spring with having the Juniors in from 10-12 noon each week, and will be surveying our parents and volunteers to see if we will continue this in the fall. Previously, they had been attending from 1-4 on Saturdays. We do anticipate carrying on with occasional Tuesday or Friday evening mini-rehearsals for Seniors on an as-needed basis in the 2016-2017 season. I hope this is helpful! In the meantime, if you’re curious about what RTC is all about – come see what we’re accomplishing with Aladdin and the Arabian Nights! 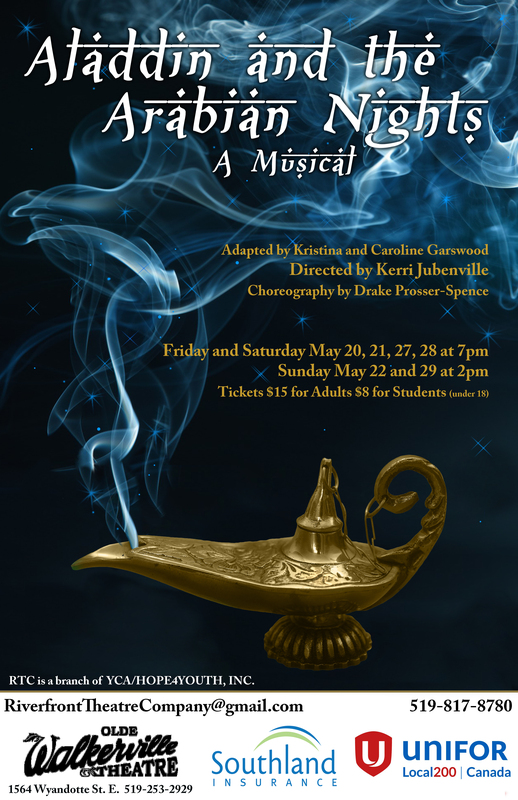 Previous: Previous post: Aladdin and the Arabian Nights – About to Open! Next: Next post: Aladdin and the Arabian Nights – Spellbinding Tales!